The BBC has announced the release of its TV Application Layer as an open source platform, making it easier for the television industry to produce smart TV apps. 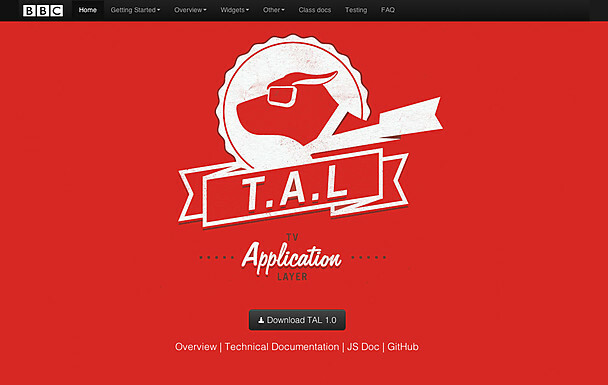 The TV Application Layer, or TAL, was originally built by developers at the BBC. The software stemmed from the broadcaster’s desire to run its iPlayer, News and Sports apps, which were originally designed just for TV, on as many devices as possible. Writing on the BBC’s blog, Pete Lasko of the BBC’s Future Media TV and Mobile Platforms department, said that they were faced with the problem of how to deliver their apps to hundreds of different consumer devices. Most devices these days are capable of streaming online video, but they all do so using slightly different technology, meaning that apps have to be redesigned for each platform. “Having figured out a way build apps on specific devices, the next step is learning how to easily build apps for multiple different devices,” writes Lasko. Readers might have a hard time understanding what all of that means, but for non-techies it’s really quite simple. Basically, the TAL makes app developer’s jobs much easier – they would only have to write the application once, and then TAL would configure it to run on multiple different devices, without the developer needing to rewrite the code for each device. According to Lasko, apps written using TAL will be able to run on all HTML connected TV devices, including Smart TVs, games consoles, Blu-ray players and set-top boxes. By making TAL open source, developers will not only be able to use the technology for themselves – meaning we can expect to see many more apps landing on many more devices – but they will also be able to contribute ideas to improve the software. “This means that TAL will eventually end up being even better for everyone that uses it, and it’ll mean more applications working on more devices,” writes Lasko.